In our latest bulletin you will find updates on the integrated community teams, world mental health day, urgent care guidance, Think Pharmacy First, developments within primary care, flu vaccination, Stoptober and our Local Engagement Board. A new approach to delivering health and social care in South Tyneside has been shortlisted for a national award. Integrated community teams have been set up as a result of partnership working between NHS South Tyneside Clinical Commissioning Group (CCG), South Tyneside Council and South Tyneside NHS Foundation Trust as well as voluntary organisations. The new way of working has made it through to the finals of the Health Service Journal (HSJ) Awards in the Improved Partnerships between Health and Local Government category. More than 1,600 entries were received from 600 organisations but judges agreed that the innovative way South Tyneside delivers health and social care should make it to the finals. 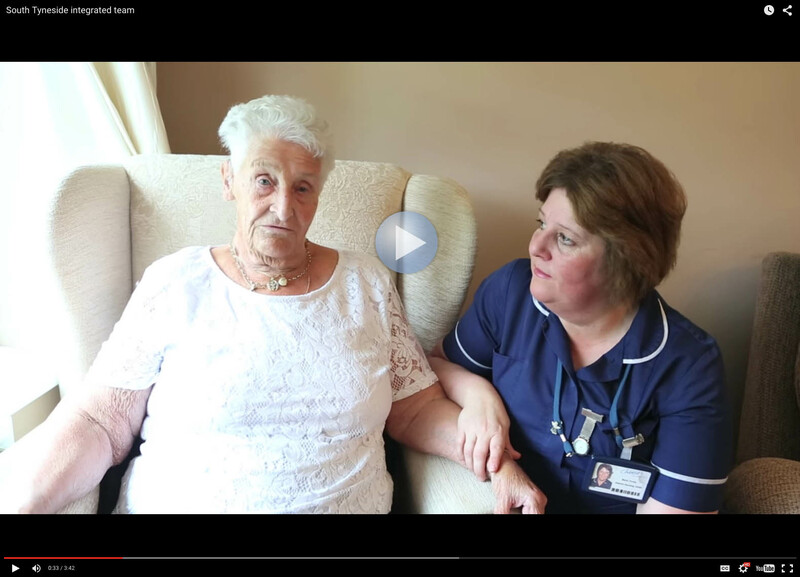 Care is now being delivered via teams including district nurses and community matrons from South Tyneside NHS Foundation Trust and South Tyneside Council’s social workers and occupational therapists. A social navigator also works with each of the teams to help people access wider support available in the community. The new approach, which has been designed and created by frontline teams, has empowered staff to provide integrated care based on an individual’s needs. “By identifying and learning from best practice, including successful initiatives from across Europe, we are empowering staff to devise new ways of integrated, patient-centred care. The awards ceremony will be held in London on Wednesday, 18 November. Workshops are available for health and care professionals to support different conversations with residents and patients, to give people a greater active role in their health and wellbeing. Self-care courses are also available to residents and we are working with our local community to strengthen and raise awareness of support and activities available to people in their local area. The a better u programme also includes developing new ways of working which support people with long-term conditions to have a greater role in managing their condition. For more information on a better u please contact Emma Hamblin on emma.hamblin@southtyneside.gov.uk /0191 424 6409. Several members of the CCG took part in a recent event held at the Central Library as part of World Mental Health Day. The event, organised by Happiness and Wellbeing South Tyneside, saw around 80 people attending and having their questions answered by a team of experts including Dr David Hambleton, Chief Officer NHS South Tyneside Clinical Commissioning Group (CCG) and Dr James Gordon, Mental Health Lead (CCG). Dr Gordon said: “This was a valuable opportunity for us to listen to the people who use our services and get a better understanding of what is working well, and where we need to make improvements. “We had a lot of useful comments and questions about areas like child and adolescent mental health, and the way mental health services work alongside the police, which showed just how important these services are to people. “We have made some significant improvements to services over the past couple of years, including a new 24/7 phone service making it easier to contact mental health services. “Another important step has been street triage, which means a mental health nurse travels to incidents with the police to offer on the spot advice and ensure that people are directed to mental health services if that is what they need. He added: “Also getting underway is the Lifecycle service, which involves mental health specialists working in schools and other settings to support children and young people. Anyone who urgently needs specialist advice can contact the Initial Response Team on 0303 123 1145, 24 hours a day. With the walk-in centre at Jarrow relocating to form part of a new urgent care hub at South Tyneside District Hospital (1 October), we would like to help patients access the right service for their needs. “Your local NHS has a range of services to meet all your family’s healthcare needs – and you can get the right treatment first time, if you choose the right service. “While we do understand people’s concerns about these changes, it’s important to remember that walk-in centres are not the only option. “Your GP should be the first port of call for most healthcare needs, and local practices have taken a number of steps to make it easier to get an appointment. “Local pharmacists are also highly trained and can give professional advice on a wide range of minor ailments from aches and pains and allergies to colds, head lice and skin problems. 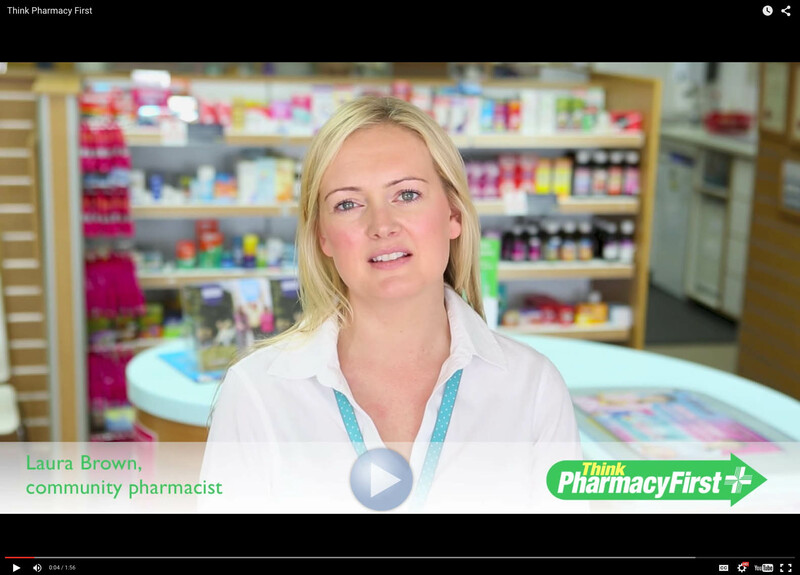 “We have launched Think Pharmacy First (more info below), which provides free consultations for everyone – and if you don’t pay for your prescriptions, you may be able to get free over the counter medicines through this scheme. “If you urgently need medical help and your practice is closed, you can call NHS 111, who can signpost you to the right service. For emergencies, major accidents or life-threatening situations, 999 is the number to call. The change follows a detailed consultation in which thousands of people provided comments. This feedback helped the CCG to identify concerns and take steps like improving access to GP appointments and launching Think Pharmacy First to raise awareness of the expert advice available from pharmacists. To find out more about local NHS services, visit www.southtynesideccg.nhs.uk/your-health. A campaign to encourage local people to take advantage of free, expert health advice from their local pharmacy and help ease pressure on hospital services this winter has been launched in South Tyneside. Local pharmacists can provide consultations on many common health problems. If you don’t pay for prescriptions, you may be able to get free over the counter medicines with Think Pharmacy First. For those who do pay for prescriptions, it is likely that buying medicines from a pharmacy will be less expensive than the prescription charge. There are 39 pharmacies in South Tyneside, with 17 open on Saturdays and three offering evening opening and Sunday daytime opening (visit www.nhs.uk for details). Consultations with pharmacists are completely confidential and most pharmacies can offer a private area to talk about symptoms. If your condition is more serious, the pharmacist will be able to refer you to the right NHS service for your needs. Anyone worried about a child can discuss the problem with the pharmacist even if the child is not present. Drs Vicki Rouse and Ruth Jenkinson from Trinity Medical Centre are leading the development of a strategy for general practice in South Tyneside. They have been working with the CCG and NHS Improving Quality (NHSiQ) to facilitate a series of meetings and workshops to understand local GPs' views on how services could change to improve patient experience and outcomes, whilst acknowledging the increasing financial and workload pressures on practices. Most recently the CCG co-hosted an event at the Centre for Life, there were excellent presentations from Dr James Kingsland (president of the National Association of Primary Care) and Vince Barry (CEO Pegasus Health, New Zealand) on how models of primary care could look in the future. Thanks to all those who attended our Local Engagement Board on 24 September. Papers from the items discussed can be found here, including the Director of Public Health's report, Change4Life and an update on Primary Care. Our next meeting is 10 December at Jarrow Community Association, Jarrow. NE32 3QN. Please click the image below for more photos from September's meeting. South Tyneside Foundation Trust is committed to continuous improvement of patient services with quality and safety placed at the heart of all we do. From 16th – 23rd Sept 2015 we delivered a week long ‘live’ improvement project known as “the week of perfect discharges”. Derived from the national Breaking the Cycle initiative it worked hand in hand with the “safer patient flow bundle” to rapidly improve patient flow to produce a step-change in performance, safety and patient experience. The aim of the week was to focus upon real time hospital discharges, from the point when the patient was medically stable to the point that they left the hospital - safe and timely discharge with a good patient experience. This included reviewing the processes to support discharge decision making and those adopted when a delay is encountered. Using a range of improvement and productivity tools we were able to build a picture of our discharges processes and patient journeys. As part of the pre-work, information was generated by undertaking daily audits in wards, observing and recording key discharge activity to highlight barriers and blockages in patient flow. Work was undertaken to help understand the delays and blockages and actions were agreed and implemented in the days and weeks leading up to the perfect week to streamline the process. For more information about this initiative or a copy of the detailed report please contact:Irene Stables, Divisional Director - Acute & Urgent Care on 0191 203 2964 email: irene.stables@stft.nhs.uk. • The baseline data shows that our pattern of discharges replicates a similar pattern across the year with a higher level of activity at the front end of the week decreasing at the weekend. During the week of perfect discharges we saw a shift in the pattern of discharges which resulted in levelling across the week. The CCG urges all vulnerable groups to protect themselves from flu this winter. The symptoms are usually quite mild but can be very serious, which is why some age groups who are more vulnerable to the illness are eligible for vaccination. Apart from age-related vaccination groups some people who suffer with chronic ill health are also eligible, so please contact your GP to find out more. If you have a long-term health condition, a learning disability or are pregnant, have children aged two to four, or you are aged 65 or over, ask your GP, practice nurse or pharmacist about the free flu vaccine. Severe winter flu and its complications can make people really ill and can kill. People are eleven times more likely to die from flu if they are in a clinical at risk group. The flu vaccine changes every year to fight the latest strains of flu, so even if you had a vaccination last winter you need another one this year to stay safe from flu. Recent official figures show the North East has had the biggest drop in smokers nationwide –with fewer people smoking than ever before. The proportion of North East smokers fell from 22.3% of people smoking in 2013 down to 19.9% in 2014. The figures are from the Integrated Household Survey published by the Office for National Statistics. There are now 165,000 fewer smokers in the North East than there were in 2005, when 29% of people smoked. The figures have also resulted in the North East approach being praised by Public Health England. Lisa Surtees, Acting Director of Fresh Smoke Free North East, which was set up in 2005 to tackle the worst rates of smoking in the country, said: “We are thrilled to see such a significant fall in smoking. It is the first time our smoking rates have ever dropped under 20% and shows the North East has had the biggest fall of any English region since 2005. "We have seen a massive culture shift in the last decade with regards to smoking, with smokefree laws coming into force and massive public opinion in favour of reducing smoking and protecting children from tobacco. Ambitious plans to cut smoking rates to 5% across the North East by 2025 were backed by health and local government leaders and young people in the North East earlier in the year. It was estimated getting down to 5% would save thousands of lives and an estimated £100 million a year, freeing up around £50 million for the NHS, significantly easing the strain on hospitals and GP surgeries, as well as significantly cutting the cost of smoking related sickness on local businesses. Smokers across the country are being urged to sign up to Stoptober, the country’s 28-day mass quit attempt from Public Health England. Smoking is still our biggest preventable killer: 80,000 people die a year in England because of smoking, and so stopping smoking is the single best thing a person can do for their health. Did you know research shows smokers are 67% more likely to quit if their partner also stops smoking and 36% more likely to quit if a friend stops. This year the campaign is encouraging people to sign up with their friends, family and colleagues, as this type of ‘social quitting’ can dramatically improve the chances of successfully stopping.